Are you looking for a high quality transmission repair shop in NJ? Let the experts at Englewood Transmissions help you! Our transmission repair experts can repair or rebuild the transmission in your vehicle to get it back on the road and running like normal again. Does your vehicle need transmission service, yet you can’t get it out of your driveway? Englewood Transmissions provides free towing to our shop within 10 miles of our location! You no longer have to worry about paying a tow truck to get your vehicle to us. For your convenience, we also offer same day service in most cases.Let us help you save up to 60% off your transmission work! 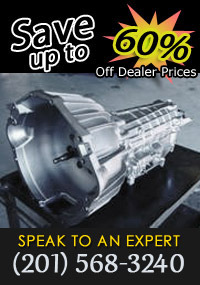 If your vehicle is in need of affordable transmission repair in NJ. don’t wait. Call Englewood Transmissions today at 201-568-3240. We look forward to helping you with all of your transmission service needs! call Englewood Transmissions today at (201) 568-3240!